Patricia Herman, Roger Chou, Lynn DeBar, Christine Goertz, Eric Schoomaker, David Atkins, David Shurtleff, Karen Sherman, Ben Kligler, Anthony Lisi, Beau Anderson, Margaret Chesney, Rob Saper, Robert Bonakdar, Harley Goldberg, Michelle Maiers .. and many more. Integrative health has not been so prominent at the NAM since the 2009 Summit on Integrative Medicine and the Health of the Public. That program was funded by $450,000 from the Bravewell Collaborative. This workshop may be credited in part at least to the roughly $150,000 from an anonymous philanthropic partner of the Academic Collaborative for Integrative Health that backed the 7 years of ACIH’s relationship building at the Global Forum led by Goldblatt. While the seats may be gone, the exceptional NAM webcast is available to all. Sign-up is here. Centers for Medicare and Medicaid, National Center for Complementary and Integrative Health, Veterans Affairs, Department of Defense, US Substance Abuse and Mental Health Administration, Indian Health Services, health insurers and a member of the Massachusetts State Senate. A core focus of these events is to remove obstacles to integrative pain management by stimulating public-private dialogue to expand coverage. Informal reports from participants in the second of these multi-stakeholder, invitational meetings shared a story of deepening engagement. AIPM executive director Bob Twillman, PhD shared that the meeting was “viscerally different than last year, when some were feeling people out and unsure about the others – this year everyone came to work.” Another participant Margaret Chesney, PhD noted a “definite sense that things are moving, it’s coming together – everyone is ready to row. All of the stakeholders were engaged.” AIPM is expected to publish a report. Meantime, AIPM’s working groups are continuing at work to advance quality pain care. One or more white papers are anticipated. 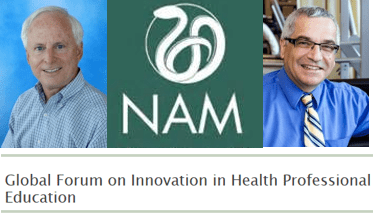 I recently reported the blindspot of NAM president Victor Dzau, MD in having zero integrative health representative advising his “NAM Action Collaborative: Countering the Opioid Epidemic.” What level of prejudice or ignorance could stimulate such exclusion in this day and age? I noted that I was able – thanks in this case to Integrator philanthropic partners Ruth Westreich and Southern California University of Health Sciences – to devote some time to contacting NAM staffers and educating them to this hole in their collection of experts. NAM responded affirmatively, but weakly. While the inner sanctum of conventional pain brains on the NAM steering committee was not pierced, NAM did choose a professional with multidisciplinary experience for one of the Action Collaborative’s committees. Bob Twillman, PhD, the president of AIPM – see story immediately above – was selected to a working group on Prescribing Guidelines and Evidence Standards. There are no such integrative health leaders an any of the other committees. Twillman is the only professional from the integrative health community among the roughly 70 appointees. Final Note: Well, while this latter move is classic tokenism – still, it is a step in the right direction. The luminaries headlining the December 4-5, ACIH-induced NAM workshop are something else again. Here’s hoping that a few more of the 70 in the Opioid Collaborative will find their way to the December exploration. 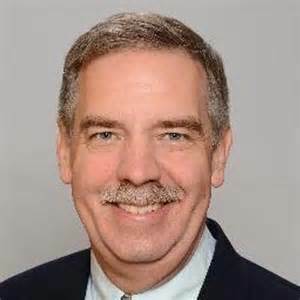 One good sign of potential cross-seeding: Global Forum members Eric Holmboe, MD and Scott Shannon, DO, MPH are among the Opioid Collaborative’s 70. Perhaps the urgency and “visceral difference” felt in the AIPM meeting will infuse these other gatherings. Good steps, all.